By accessing the Strain Genie site or mobile application (the “Sites”), you agree that we may collect information that identifies you as an individual. In order for you to take advantage of particular opportunities provided through Strain Genie (for example, to use the services of a third party Collective listed on the Site), we may require that you furnish a user name and password in addition to personal information, including, name, address, phone number, a copy of your driver’s license, a photo, and, where applicable, a copy of your physician’s recommendation in order to confirm your status as a qualified patient under California Health & Safety Code section 11362.7 et seq., a copy of your “red card” issued by the State of Colorado, and any other state-required qualifying documentation necessary to confirm medical marijuana patient status. We will use your User Information and other personal information to provide services such as payment processing, data, infrastructure, customer service, e-mails, and logistics information. We will use personal and, where applicable, medical information as required to fulfill your order, and to identify you as a patient to any third party providers (see HIPAA Privacy Authorization Form, below). We may use provided information when required under applicable law and/or to comply with legal process, or requests from public and government authorities. We may disclose provided information to protect our operations and/or those of any of our affiliates and to protect our rights, privacy, safety and/or property, and/or that of our affiliates, you and/or other, and in pursuit of available remedies and/or limit the damages that we may sustain; and for recordkeeping purposes. In the event of any reorganization, merger, sale, joint venture, assignment, transfer or other disposition of all or any portion of our business, assets or stock (including without limitation in connection with any bankruptcy and/or similar proceedings), we may provide all information to a third party and/or successor. You agree that any information that does not personally identify you as an individual, may be used for any purpose, and we reserve the right to share this information with our affiliates and with other third parties, for any purpose. HIPAA Privacy Authorization Form (Medical Marijuana Patients Only). In order to use Strain Genie’s service, you must completed and execute a separate HIPAA Privacy Authorization Form by which you authorize us to release the personal medical information contained in and the document consisting of your physician’s recommendation to a third party Collective you choose to join through Strain Genie’s service. Strain Genie will use its best efforts to restrict third party usage of User information for the limited purpose of fulfilling their contractual obligations with us. We are not, however, responsible for any information that you provide directly to such third parties, nor is Strain Genie responsible for any disclosures of information by such third parties. User Information may also include any information and materials about third party providers posted by You on Strain Genie. Any information provided in connection with such services may become public, and may therefore also be available to all visitors and the general public, including without limitation the Ratings and Reviews that accompany many listing on Strain Genie. You agree to exercise discretion and caution when deciding to disclose any personal information, and/or any other information, including but not limited to medical information and/or materials, on Strain Genie. NO PARTIES TO THIS AGREEMENT, NOR ANY OTHER PERSON OR ENTITY DULY AUTHORIZED BY US AND/OR BY OUR THIRD PARTY SERVICE PROVIDERS, IS OR SHALL BE RESPONSIBLE FOR ANY USE BY ANY UNAUTHORIZED PERSON OR ENTITY OF ANY INFORMATION YOU DISCLOSE THROUGH STRAIN GENIE. Strain Genie and its affiliates are not responsible for the privacy, information or other practices of other websites and/or any third parties, including without limitation any of our affiliates and/or any third party operating any site to which the Sites contains a link. The inclusion of a link to a third party website does not imply endorsement of the linked site by us or by our affiliates. Please note that your access and/or use of any third party websites, including by providing any information, materials and/or other content to such sites, is entirely at your own risk. You indemnify us from any personal information being compromised in any breach of security, or infiltration of our database, and expressly acknowledge the inherent risk of providing personal information on the Internet. If you do not wish to receive emails from us, you may unsubscribe from receiving them by clicking on the “unsubscribe” link at the bottom of any of those emails. You may alter or delete User Information in the “Account” section of Strain Genie.com. Neither we or our third party service providers are responsible for altering previously provided information from the databases and/or other records of third parties with whom we and our third party service providers have shared such information. Your data safety is very important to us. All browsing data comes through SSL (secure socket layers) with industry-grade encryption. All credit card information is stored on Stripe, a PCI-III compliant payment gateway. All sensitive information is encrypted and stored in compliance with HIPAA. 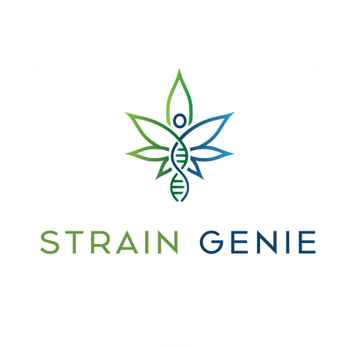 Strain Genie is not directed to and/or intended for use by individuals under the age of twenty one (21), and we request that such individuals not use the Sites and not provide User Information through Strain Genie. All use is at your own risk, and you are responsible for complying with all local laws, rules and regulations.